A woody hot and cold atmosphere on the edge of the Mediterranean Sea ... 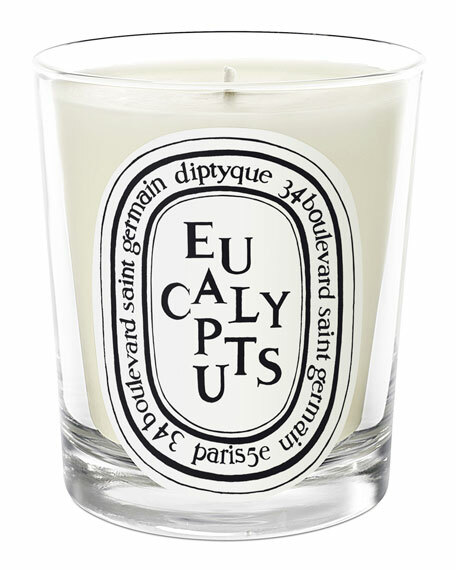 The fragrance of this Diptyque candle liberates the intense aromatic freshness of the eucalyptus, heated up by the Mediterranean sun. Presented in a clear glass candleholder. Approximately 40-50 hours burn time.